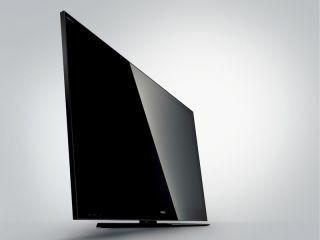 Sony has confirmed that it is adding the popular BBC iPlayer to its Bravia connected televisions. Sony is keen to establish its own video on demand service, and the inclusion of the iPlayer will hand a major boost to its connected TVs. The iPlayer has already proven to be a hit on Sony's PlayStation 3, and the Bravia internet service will hope to replicate that. "Sony UK today announces that it has added BBC iPlayer to its Bravia Internet Video service on BRAVIA televisions," stated Sony's release. "This will allow customers to benefit from access to on-demand TV directly through their television set." The service will offer seven day catchup and is accessed through the now familiar Sony Xross Media Bar (XMB). Christian Brown, Senior Category Marketing Manager, Sony, said: "We are delighted to be able to offer Bravia customers this added entertainment functionality giving users the ability to watch and manage their favourite programmes at the click of a button. "We are really excited to be partnering with the BBC to bring its fantastic service to the 2010 Bravia television range."